I am of the belief that a fridge is not truly well stocked unless it contains a jar of pickles. Since I haven’t seen a pickling cucumber since I got to Ohio, I settled for green beans. Even though sunny days are still intermittent and we’ve got a little more cool weather in store, it almost feels like summertime. Every tree is thick with leaves and everybody’s ready for the school year to be over. And to me, summer and pickles go hand in hand. Prep two pint jars by soaking them in boiling water. Clean the lids separately with soap and warm water. 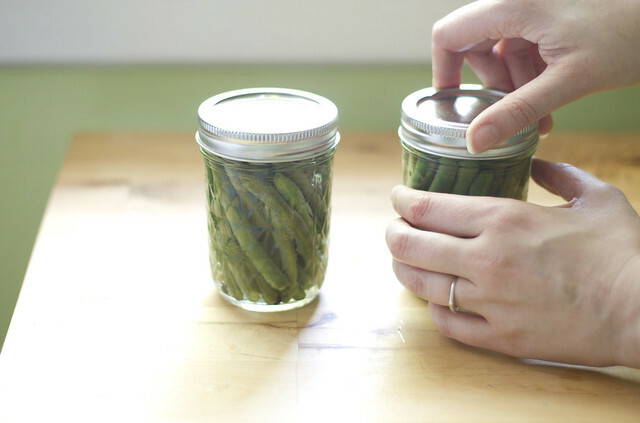 Trim green beans to fit jars (reserving half an inch of space at the top of the jar). 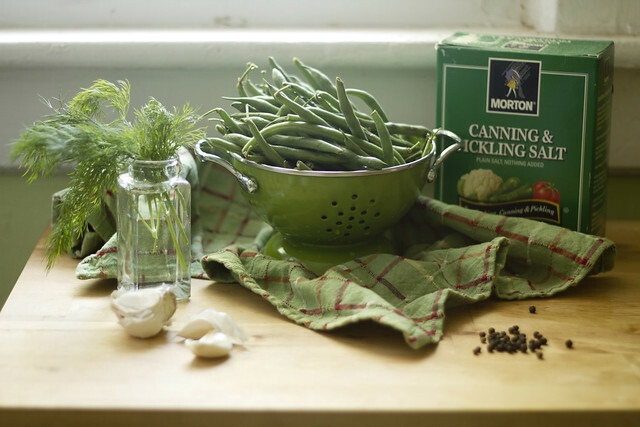 Add a sprig of dill, a garlic clove (skin removed) and three peppercorns to each jar. Bring vinegar, 3/4 of a cup of water, and salt to a boil in a small saucepan. 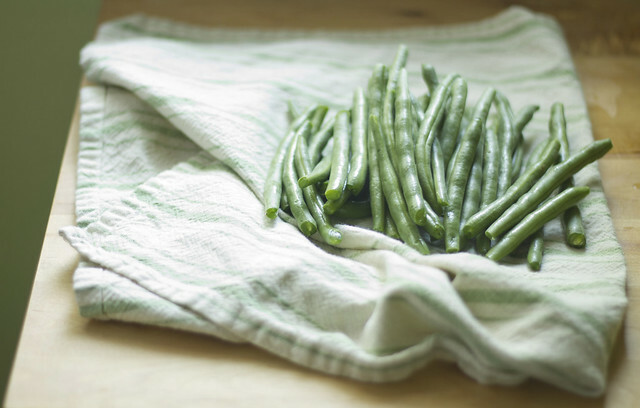 Add green beans, return to a boil, then remove from heat. 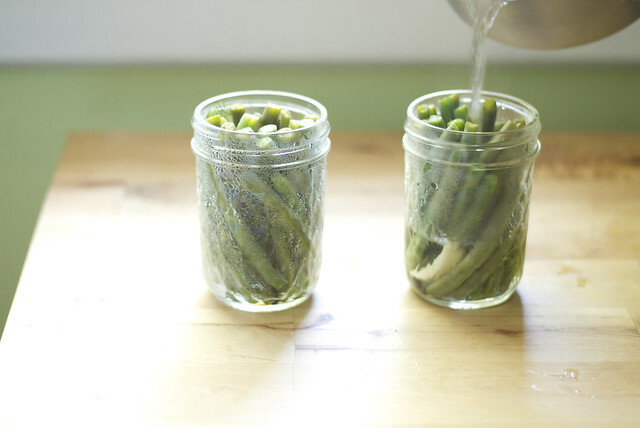 Pack the green beans into the jars, then cover with the pickling liquid, reserving space at the top of the jar. Immediately screw on the lids. Allow to cool to room temperature, then store in the refrigerator. Posted on May 22, 2011 by Jessica This entry was posted in Food. Bookmark the permalink.